our coaching programs, products and software. These are the two evergreen funnels running right now in our business. Do you run one of these in your biz? If you are someone selling a product or service and you aren’t using one of these 2 evergreen funnels, than I am pretty certain you will and soon! (evergreen = consistent recurring sales) We have been running consistent Facebook Ads to both our 2 funnels. Both get equal targeting of cold traffic and retargeted traffic. And both make us money. We have been running consistent Facebook Ads to both of these funnels. Both get equal targeting of cold traffic and retargeted traffic. However, one of these 2 funnels performs better than the other. Can you guess which? One gets 188% ROI and the other gets 225%. One of these funnels costed 25k to build out, the other…nothing. One of these funnels integrates really great with CRM systems, while the other doesn’t. One of these funnels can tell you how long someone watched your content and send emails based on that data. The other one doesn’t. The Automated Webinar performs better than our 4 video mini launch series by 5% in terms of conversions. So the 4 Video Series does 8% conversions (Meaning that 8% of the people who sign up to the free series ends up purchasing). So if you send 100 people into an automated webinar funnel, 13 buy. If you send in 100 people into the 4 video series, only 8 buy. Does this mean that you shouldn’t do a 4 video mini course? NO I would never say that, because we cross pollinate our funnels. Meaning that if someone didn’t buy from one, they are moved to the other. And this helps with overall conversions. However, do you have to do a 4 video mini course as a launch plan? Whether you are using it for a one time launch or perpetual launch. Plus you could say yourself 25k in video creation costs to boot. As you know, I am the founder of EasyWebinar. As such I have had the rare perspective of not only seeing countless webinar funnels that our clients have run but also, I use EasyWebinar for both live and automated webinars in my own business. That is why I am super excited to announce to you…my most requested training is finally coming! When done right, an automated webinar can be created once and used DAILY for automated sales in your business. In fact some of our clients are making 20k a day using a few EasyWebinar automated webinars. Yes, that’s 20k a day! If you want to learn more about the program, we have a workshop going on about it right now. Over 15 hours of Step-By-Step webinar training. – What can I use webinars for? – What webinar platform is best for me? – What style of webinar is best for me? Are you an Infusionsoft user? EasyWebinar has a deep integration with Infusionsoft. With EasyWebinar, you can create tagging based on actions performed during the webinar event. Such as who clicked your offers, if they saw the offer but didn’t click…plus more. In this training we pull back the curtain to show you a funnel you can use for yourself + a way to get one of our team to create your AUTOMATED WEBINAR FUNNEL for you. Learn how to use the most powerful way to build an audience to get more people to your webinars…Periscope. How to choose the right team to handle the workload for you. One of the most stressful things is to think you can handle all the work for you. Or you hire a team that actually costs more but also gets you absolutely no value and puts you months back. In this training you’ll know to syphon the right people into your business. How to use a free resource like Canva to build your presentation slides. Creating your presentation doesn’t have to be boring. See how easy it is to build a multi-slide presentation in minutes. Learn how to use Haiku deck to build your presentation. No more dull black text on white background slides. With Haiku deck your slides can be full of color and great looking fonts. Be by Casey’s side as he talks to individual members guiding them on how to use automated webinars in their specific niche or business. This invaluable training is worth the price of the program alone. Stop waisting money or time. Casey is going to show you step by step how to create high converting Facebook ads promoting your webinar. You don’t have to go alone. Leveraging other people’s time and list to help you promote your webinar will jump you years ahead of where you are now. Tell the world who you are. Branding yourself and your products are the key to long term success. Get your name or your product’s name out to the world. Learn to stand out in a noisy online world. Timely webinar strategy session with Devin Duncan. Technical strategist for Melanie Duncan, Amy Porterfield and Todd Herman. Be prepared to have the ceiling taken off your dreams. After this great interview you will see that there are no limits as to what you can accomplish with automated webinars. If you are someone who has a webinar, or someone with a quality product but have been struggling to get an automated sales system in place. This might be the training for you (or your team). CLICK HERE to sign up to our workshop all about it! Many people, in fact, most people who are looking to build a business online think that in order to sell anything that they need a website. A full blown kick-assery website and all that they ‘think’ that entails. Honestly, though most people aren’t even sure what and how much they need. I would like to pose the question again and say. Do you need a website?… The answer is yes and no. Mostly though it is…no. You see your website is typically not optimized to generate the fundamental parts of an online business. That being building leads and making sales. A website doesn’t do that, but a FUNNEL does. A funnel is a nurture sequence that takes a prospect through an experience to where eventually the prospect in the funnel is moved to buy. There are several points that happen before purchasing and that sequence of nurture is called a funnel. For instance, my favorite 2 funnels are a webinar funnel and a mini-course funnel. Both of which includes what are known as landing pages with the intention of getting opt-ins (email subscribers). Once these email subscribers are on your list (email list) you take them through the funnel. b. Show your audience who you are and why you’re the person that should be helping them with whatever pain point they are having. Talk about the problem and then tell your story as it relates to them. For instance, chances are the person coming through your funnel is in the same boat you were in a few years ago. But you figured it out, learned from your mistakes and you want to teach them to avoid those mistakes. c. Provide value through education to the prospect that will give them the concepts needed to understand how to solve the solution. d. Have the ultimate solution to their problem via tangible tactics that you either sell as an online course, coaching, software, service, etc. The above 4 items are what makes a funnel more powerful than just sending someone to a website alone. Coming to a website gives your prospect too many things to do. There is not one singular action that a website typically asks a visitor to perform. That is unless you do a few key things. Which we are going to talk about in a minute. But before we do. What are some good tools for building out Funnels? For landing pages and essentially all the best pages of a web business. I love using Leadpages.net. A great visual editor tool that allows you to use high converting pages that are pre-templates and proven to convert interested folks into people coming into your mailing list. Another great tool is called ClickFunnels.com . Click Funnels is similar to Leadpages, although ClickFunnels has a few more bells and whistles and you can often times customize the funnel pages even more than Leadpages. Another tool that I would recommend for those who are WordPress.org lovers is OptimizePress2. OP2 (as it is also called) is a WordPress plugin that is similar to both leadpages.net and click funnels.com in the sense that it allows you to create all the pages you’d want to use in your business. From landing pages, sales pages, and more. However if I had to directly compare it to one or the other, I would have to say it is more similar to Clickfunnels due to its customization abilities. In order of ease of use would be Leadpages, followed by ClickFunnel, and then Op2 being the most robust. All 3 of these tools are great for building well-optimized funnel pages for your business. Now for my favorite funnel program…EasyWebinar. EasyWebinar builds out SPECIFICALLY Webinar or Online Event Funnels. EasyWebinar has the funnels pre-built with some templates that are less customizable than others. This gives you a wide range of customization abilities from beginners to professional web designers. EasyWebinar runs both LIVE events, and AUTOMATED webinar events. Some clients run paid Facebook ads or YouTube ad traffic to a webinar without having a website. This is the most powerful funnel around. So why would you need/want a website? For social proof. You need a platform for sharing who you are about and more. What I’d like to do now is switch gears and start talking about the key components of a GOOD and well-branded website. These key components are there to built a relationship with your audience, allow you to create content, share who you have worked with, and build your list. Your About Page should describe your mission, who you serve, and why you’re doing what you’re doing. It is important to express your WHY because this will be the opportunity to show your vulnerability and more importantly, relatability. How you relate to people and your own journey will bridge the gap of impersonality that can be found online. Your own story and growth process will give them hope of their own path. Who’s Talking About You is extremely important to express. If you want to position yourself as an authority, one of the best ways to do so is to highlight publications and any media you’re found in. Here is the deal, it doesn’t have to be a major publication. It can be anything that helps with positioning your expertise and likeability. It can be a small podcast all the way to getting international news coverage. Whatever mainstream or value based source that has talked about you make you that much more credible to your audience. What they said about you can often times be the best marketing you will find.This is where in your site you want to highlight what people have said about you. Not just who is talking about how they are talking is super valuable. Authorities that are speaking fondly of you as I said can be your best marketing. You shouting how awesome you are from the rooftops won’t convince anyone…but someone everyone trusts raving about you can literally build your brand and integrity. Have a Product or Service Page because hey, someone might just be coming to you to learn more about your products or what and how you make a living. This is where you want to have a product listing available to them. Also, this helps because you are back-linking to your other pages and sites. What Do you Solve For People ? Give a free gift from the home page! If you aren’t building your subscriber list to get more qualified leads into your business then to me, you don’t have a business. Sorry. I know that some folks in my community are authors, artists, and entertainers, but the old way of building your audience is dead. You don’t necessarily have studios propping up your brand. That is why you need to work to building your own audience. With that in mind, your own audience comes from building your list. You should definitely be doing this from your website just like you should be doing from your landing pages. Create Killer Content and have it shown from your home page. Link your home page to any blog, podcast or other form of content you are creating so that you use the power of your own content to literally lock in your audience. Yes, curating other content is…ok…but personally nothing beats connecting to people and helping them in your own voice. Expert tip: I like to take my live video or videos and repurpose them as blog posts, and audio podcasts! Finally, invest in a photo shoot. Having a professional photo shoot can do wonders for your brand. A professional photographer can cost anywhere from $1,000 to $5,000. Last photo shoot I did was $1,000 and it was top quality. (But the photographer was a friend of mine!) Your photo shoot should exemplify every part of your brand. For instance, I would suggest 5 looks to go for. This photo is me in my living room with the dog just to show the lighter side of me. Lastly, this shot is me in a very artists/modern feel because I want to be seen as relevant and part of my brand in doing so was showing me in action. I am not really a suit guy (although I have images of me in a suit, I was more interested in showing the artist and bohemian and more approachable side. This is an example of what a photographer can do. Capture many different aspects of who you are as a brand in one photoshoot! Then you can have different images expressed on the different pages found in your site. For instance, on my about page I have images of me with my wife and dog to show that this is what I am about. Family. A quick tip is that your web designer and photographer should be on the same page in terms of color and style of your brand. Make sure you save your branded colors, fonts, and logos to stay brand consistent. To summarize, having a funnel is huge for your business, but also having a website can help to solidify your brand. Both are designed to grow your overall business and revenue…but if I had to suggest where and how to start. Create a landing page and funnel first, build your internal community and then branch out to start creating a well-branded website. So what were your thoughts of this post? Does it make sense. Are you still wondering more about a funnel? Post in the comment below your thoughts! And please do share with your friends, followers, and fans if this post could help them! Also, check out http://CaseyZeman.com to check out how my personally branded site looks to get an idea of how I built out the site. You can also check out my Webinar Mini Course funnel (to see an example of a 4 video series funnel) by CLICKING HERE. Finally, you can see my Automated Webinar Funnel (which I think is the most powerful) by CLICKING HERE. Watch the video I did all about this concept below. The reason I say that is because, anyone who can support a family, have a full time job, and still work towards their dreams no matter what the odds, shows such resilience, determination and courage, that they deserve a medal of honor, or become the next President of some awesome Country! Doubt plays a big picture now and then as we strive towards our dreams. Risk becomes a balancing act. Especially for those with vision. If I could give one piece of advice it would be, trust your instincts because more often than not they’re accurate! Does this sound like you? Are you wearing several different hats that both excite and terrify you with what tomorrow might bring? Watch this video below. It just might sound slightly familiar! This is ultimately a story of instinct vs. the ‘norm’. …I think you’ll find it super useful. In this video, EasyWebinar customer Jason Caruso and I share OUR STORY. Please be warned…this is not a ‘butterflies and hugs’ story (However we do look at some pretty tasty looking desserts that in simply creating this post, I’m now craving!). This is a real story, from a real entrepreneur. This is how our story starts: Jason is a full time father with a full time job and COULDN’T be there live to run a webinar….so he used my system to run an automated webinar which made him 14k by end of it all. Jason also requested a refunded of EasyWebinar…only after he made his 14k using our system (with an automated webinar). (after testing other software and tech support). That’s why we created the video. To share this story. We felt (really Jason made me understand this), that his experience probably rang true for so many. FYI: Jason is an Entrepreneur (with a full time job and family) who has created a VERY SUCCESSFUL YouTube Channel with over 110k subscribers, getting a million video views a month and has filtered that traffic into a very active email list of more than 26k. Jason and his business partner started this particular business only 14 months ago, and are already pulling in a comfortable 5 figures a month from it. Also my new Webinar Program Elite Webinar Mastery just went live along with a FREE STREAMED WORKSHOP that will teach you everything about dominating with webinars. and implement this 1 funnel that will skyrocket your business. The one simple strategy for leveraging webinars like our clients do to where they’re making 27k a month all the way to 20k a day. This is perfect for the busy & smart entrepreneur! The 2 most important things needed for success with webinars and how you’ve basically been duped into not starting to run webinars in the first place. Truth: It’s not your fault that you haven’t run a webinar yet. It’s due to common misconceptions that we are going to bust. 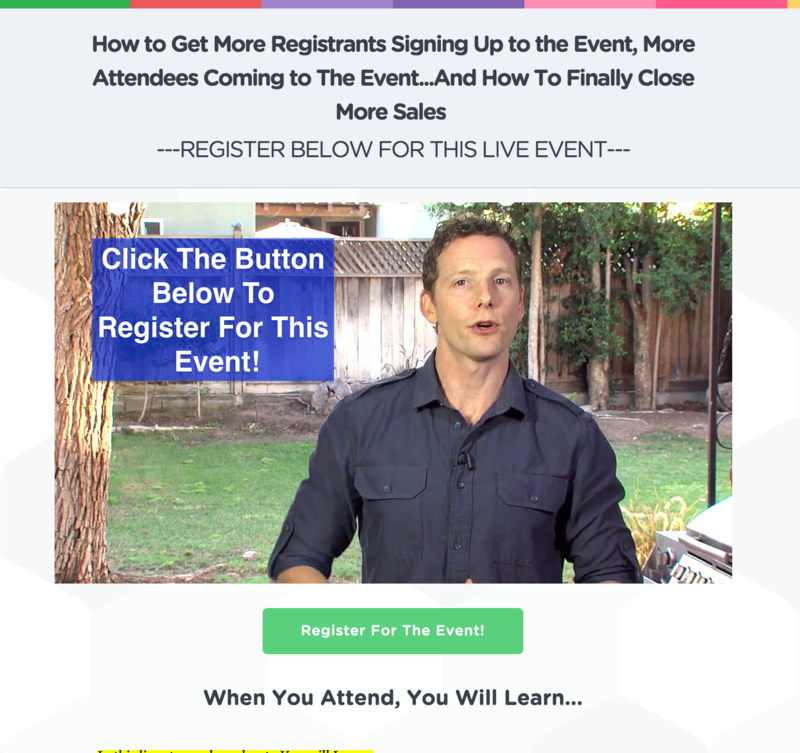 How to take advantage of a killer opportunity that will give you clarity and all the tricks needed to dominate sales, list building and authority seeding with webinar.You’ll learn how you can copy our blueprints, strategy maps and funnels for creating a consistent marketing machine.But most importantly…walk away with the secrets to the most powerful sales funnels around.You ready? As always, if you have a friend or colleague that you feel can relate to this video, please share! Finally, do you want to learn more about how I/we helped others just like yourself get set up with creating automated systems? Click here to read John Lee Dumas’ story. Click here to check out Rick Mulready’s Automated Webinar Story! So let me ask you. Is your life a balancing act between family, your business and say a full time or part time job? Few people tap into the perfect equation. But John did. John is the creator of the most successful Business Podcast in iTunes called Entrepreneur on Fire. In this interview john reveals the secrets to his success boiled down to 3 simple things. Along with things he is doing in his webinars that allows him to do a consistent 20-30k a week on his live webinars. Lets pull back the curtain and talk to John about his specific successes with EVENTS/WEBINARS! My second session is where we talk about the PROBLEM. 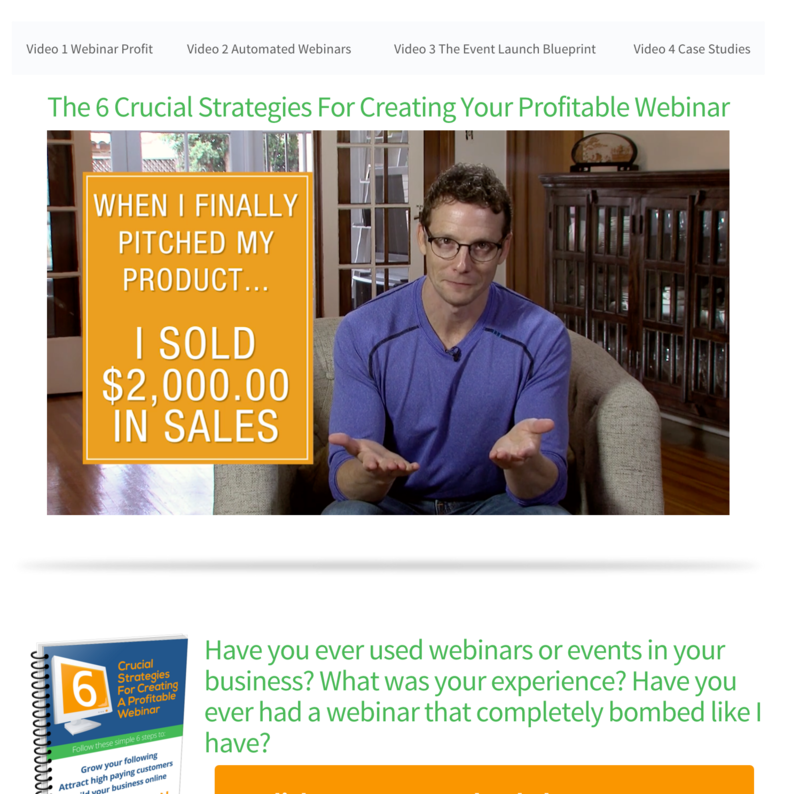 John was getting burnt out running so many live webinars. That is why I reached out to him to get him on an automated webinar. Once we did, we scheduled it appropriately and then started to generate sales from it. Within it’s first week of being live it was generating 16k in sales and continues to make John money every day. In fact a recent article came out talking about how John’s Automated Webinar using my software EasyWebinar has the highest value per lead. Read more about that article now by clicking here. What do you think? Can you do Free, Valuable and Consistent Content? And drive that traffic from that content into a webinar? Leave your thoughts below ! Want to learn more about John’s strategy? Join me for my FREE STREAMED WORKSHOP that will teach you everything about dominating with webinars. A question I am often asked is what process I use to come up with software ideas. It is actually not as difficult as you might think. There are a few masterful moments of brilliance that occur in the software industry. Once in a while you will come across an idea so out of the box and so brilliant that you just say “WOW”! But for the other 98% of the time software creation is merely solving a problem, speeding up a task, or automating a task. Most software that is created is a solution to a need they have in their own business. Once they realize how much time they saved or money is generated from the software they create they then are able to present it to the public for sale. 2 – Always consider “Minimum Viable Product” – What is the least amount of features you need in the product to make it “viable” or functional enough to do it’s job. Every software out there could be better. It could have more features. Just as many users that a software has it will have that same amount of requests for upgrades and additional feature options. Software is never “perfect” for all users, but it can and must be viable. That is what you need to consider. You can spend too much money developing all of the bells and switches and interfaces needed to make everyone happy. But when you start out it only needs to be functional to go live… and build from there. Casey Super Tip: Money loves speed, but so does development. Get the minimum viable product out into the marketplace as fast as you can. 3- Price the product – Start with a lower price and increase as you add more features. Don’t delay the launch because of wondering where to start the price. Overthinking this step can stop you from doing anything. Fear sets in that you might price it too high and not make a sale or price it too low and leave money on the table. Price it on value and the result that people get from using the product or the time it saves. If you don’t have test market results for your product then you have to do a beta first. How do you know if your idea is good enough? It should be based upon a pain point that someone is expressing or that you have. Survey your customers or friends. If it fills a need you have probably someone else has the same need. Does it speed up or automate a task? 4- The Idea Process – Start with a Google document for best interaction between collaborators. It will help you flush out ideas. You can share the doc with other thought leaders you trust or your team. Save yourself time by coming up with a “flow” concept in mind before your designers start. It will save you a ton of money. Don’t forget to pin the image below and share it with your friends! 5- Learn user interface – Look at other software you already have to get an idea of flow. You don’t have to a coder genius. Show your developers other examples you like and decide on a flow. Is the interface intuitive enough that you won’t need a 75-page manual to explain it. Can the concept be understood fairly quickly with a fast quick-start video and easy to understand labeling of the user screen? This is where the google doc comes back in. Be very detailed on the document you create. over-share. State on the shared document in terms of “I want this feature to do this… this is the benefit of the feature.” You will also want the coder to understand “why” you are creating the feature and the benefit to the audience and end user. If they don’t understand it they won’t get the logic in the first place. 6- Find a developer – Use UpWork or other freelance sites that make it easy for you to post a quick job. a. Communication – Can the developer clearly communicate to you in your native language. b. Test them by asking them questions – If you could build anything what would it be? See how creative they are. Do they possess out of the box thinking? c. Don’t hire full time — Hire them on one job to test them. See how they communicate to you. Have them work on the minimum viable products. Before you commit to paying them for the full project have them build a few feature sets. Pay them a flat rate, not by the hour. By-the-hour payments can become a runaway train for a developer with limited skills. Tell them your expectations. Let them know you will hire for more of the job, but you want them to see how you fit together as a team. An example might be 3 weeks $1000 and we will evaluate your speed and skill level before we move forward. d. Have them sign an NDA – A carefully written Non-Disclosure Agreement can protect you so they don’t go using your software and sell it for themselves. f. MVP = $35,000 – Be ready to drop around $30,000 to $40,000 for a minimum viable product. You can save money by putting your software on the market as an MVP then turning some of that cash back into further development. So why am I writing to you today? What is this update? Well this is probably the most important update that you will possibly get with Fullscope.tv to date. Ears perked? All accounts (Who aren’t the Premium members) who haven’t upgraded to the monthly maintenance cost of 20 dollars a month will be suspended and the videos will be removed. The Fullscope.tv’s trial period is coming to an end. Step 2: Click on the ‘Upgrade Now’ text on the red bar at the top of your account! For the last 10 months we have made the product free to all who join including all of the analytics, the ability to create collabs and the video hosting and storage. Well, in an nut shell, we can’t afford the million+ videos we host and analyze without charging something. Watch the replay webinar that shows the epic bonuses & Fullscope demo! Since the beginning of Fullscope.tv many of you have said that we could very easily charge a premium cost for the non-paid level of Fullscope.tv due to both the analytics and the HootSuite style connection we give our users to their audience. However, we opted to continue to gather data and give everyone a chance to use the tool for free! And I said, just keep enjoying the tool, tell your friends about it and when it comes time to support us from a monetary standpoint, we would let you know. That is why we are requesting a low monthly maintenance fee. In the next 2 weeks, if you are someone who has grown to love Fullscope.tv or someone who is interested in using it more…you can continue to use it uninterrupted for a small monthly investment. Now when you look at it from this point of view, and the fact that we have people using Fullscope.tv to land coaching clients,build their email list, run 100k campaigns, and even increase their business by running contests, .75 cents a day is nothing. (A $1900 Bonus package and access to a PRIVATE FB GROUP for members only! Ready to go? Lock in Your Fullscope.Tv account today! CLICK HERE TO LOCK IN YOUR EXISTING FULLSCOPE ACCOUNT! Just so you know, we will soon have other levels too, but at the moment we are rolling this one in to everyone who hasn’t upgraded to one of the previous Fullscope.tv Premium opportunities we’ve launched in the past. Please Note: For those who did purchased Fullscope.tv Premium (which will soon be called Business Influencer package) you will not have to pay the monthly cost for the ‘Periscope Broadcaster’ level. You are grandfathered in to receive the Snapchat analytics we are also rolling in and more. or go in and download which ever videos you might want to save on your desktop or inside YouTube. After the countdown ends, your account will be paused, and your videos removed, but you will still be able to still purchase in the future and re-activate your account, however, your previously hosted videos will no longer be available. Ready to lock in your account? Go to http://app.fullscope.tv and click through to upgrade using the bar at the top! What is Fullscope? For those still confused? Last year back in Nov. when we finally went live with Fullscope.tv, we saw a huge need and came in to fill it. Since then, we have analyzed more than a million + periscope broadcasts and have seen 10’s of millions of live viewers come through your broadcasts. We have truly been able to witness what Live Video vs. Video means regarding engagement. 10’s of millions in just live viewer alone, not replay viewers. Fullscope.tv has been there as a tool for KNOWING YOUR PEOPLE. It has been a tool for figuring out who your audience is and staying connected with them! Hazzah! Learn more about Fullscope.tv by watching this video below! Now let’s acknowledge the elephant in the room. I personally love Periscope, but even I was starting to use things like Snapchat, Instagram Stories more…not to mention Facebook live. However, Periscope and Twitter have stayed pretty strong, in fact…now we are seeing an even bigger resurgence of more users and more importantly BUSINESSES & BRANDS are lining up to use it more! With the coming and going of platforms like Blab.im and others, Periscope has never wavered. Their long game is paying off. So if they ever did lose steam, they’re regaining it! As such, Fullscope.tv as an analytic and marketing platform for Periscope has been a tool that many people have grown to rely on for their ability to continue to essentially use Periscope for business. you’re essentially shooting in the dark. Bottomline…we’ve been told by some of you that you can’t live without Fullscope.tv because it is the tool that helps to justify the use of Periscope in the first place. Finally, if you are still reading you must be a die hard and if that is the case, this is for you! Are you someone who wants to get access to the coveted Fullscope Premium account? We decided to extend that offer till we officially change our page and pricing. Click here to learn more. As an FYI, if you decide to do the $20/mo you will have the option to upgrade later to the Premium version, just not right now. And if you choose the Premium version, you won’t have to get the $20/mo package! Because today is the day. Like cue the drum roll, the club is open sort of day. Watch this video below to learn more about Fullscope and the premium level. Right now, we are also running a special to get access to Fullscope Premium for a limited time which includes my new course ‘OnlineBroadcasts’. We’ve extended this launch up until the time that we are moving over to the final price very soon! Before that time you can get access to Fullscope Premium for a one time payment for lifetime access which gets you access to future upgrades and updates of this level. This level will be at a minimum of 127 a month. This level also includes access to our Snapchat integration and more. Learn more about OnlineBroadcasts by clicking here. Watch the webinar we did just the other day about it! For those who aren’t sure what it is. Fullscope.Tv is tool that my team developed that can give you the MOST detailed analytics around your Periscope broadcasts. Not only from knowing who exactly is coming in (and being able to reach out to them after) but also the actions they perform during the broadcasts. You can know your most popular viewers on not just individual broadcasts but over a range of broadcasts. Here are a few ways that some of our users are using Fullscope. 1. Started broadcasting into one of the core live video applications we suggest. 2. Began to grow your community faster than before using the unique strategies you learn from OnlineBroadcasts. 3. Started to build your email list through these live video platforms as well as tapped into growing your client base, coaching students, and sales. 4. Figured out and implemented one of the best online funnels for lead generations and sales on the planet! OnlineBroadcast was done live as a high end MasterMind training…and now I’m happy to say, you get to experience it as well. NOW, What I’m extremely excited to announce is that for the first time ever and for an extremely limited time, you have an opportunity to get…Fullscope Premium early as a bundle package where we’re including OnlineBroadcasts as well! What is in Fullscope Premium? HOT: When someone adds their email into chat it will automatically add that person to any campaign you create with your favorite email provider. We have an api integration with MailChimp, Infusionsoft, Constant Contact, Ontraport, Aweber and many others. 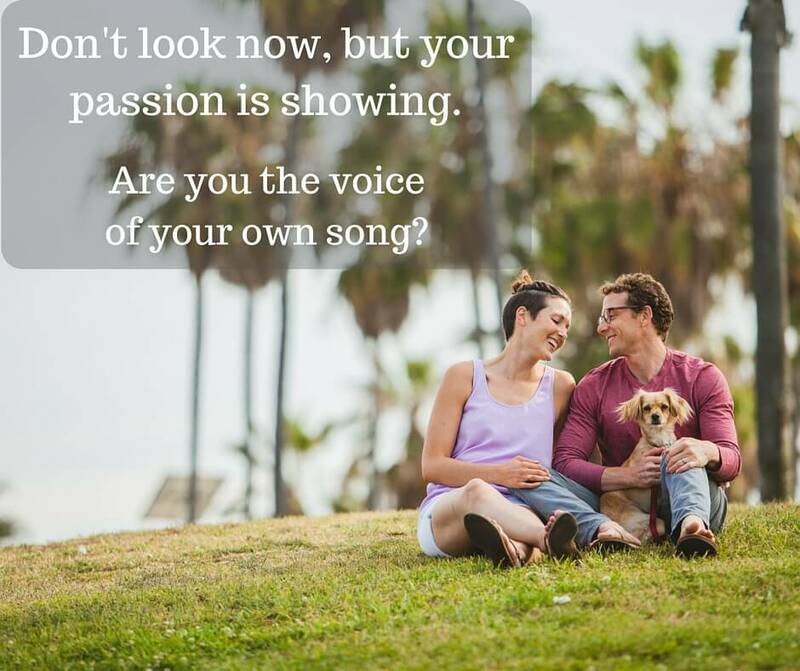 Get paid doing what you love. As an influencers, we want to add you into our directory for agencies and brands looking to work directly with influencers in a variety of niches. Taking part in our Influencer collective, any time a brand or agency is looking to do a campaign around your niche, we will make the connection for you and add your broadcast analytic data to the overall campaign to where you can get paid based on your level of real engagement, reach and broadcasting frequency. As we roll in more live video analytics into Fullscope, you can be part of it. We are currently working on cross platform data to show you what platforms give you the most bang for your buck for using the power of live video. Currently we have included SNAPCHAT! Right now we are offering access to OnlineBroadcasts by itself, or as a bundle package with Fullscope Premium. Click here to check out the discount that is going on right now. Click Here to check out the discount now. We expect to roll out Fullscope.Tv to the public at around $127 a month for this level. Which, based on our research, is what other platforms are charging for essentially ad builder platforms with far less features than what we have! The price will be increasing soon (depending on when you read this, it may have changed already) Learn more about the massive discounts and BONUSES we have right now for both programs! Again, this has been a long time coming and I am so excited to finally share it with you. You will also find in one of the emails I am sending out a few bonus training links to 3 live workshops. So are you ready? Once you come in I will be welcoming you in our Private Paid Members Only FB group.